Location – Russian Black Sea coast in the region of Krasnodar Kray. Client – Directorate of the Sochi Development Federal Target Program. 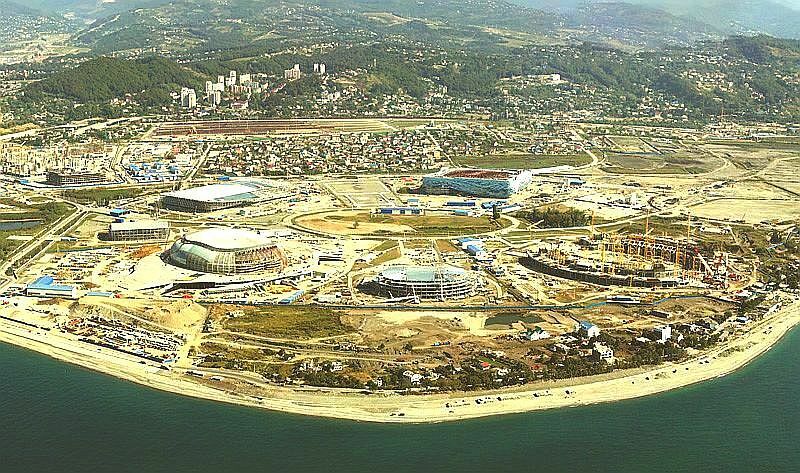 In 2006 the Government of Russia developed a ‘Federal Target Program’ for ‘Developing Sochi as a Mountain Climate Resort in 2006-2014’. 2006. A Strategic Environmental Assessment (SEA) made to international standards applying to candidate city bids. The objective of the study was to identify key impacts, including residual impacts and potential cumulative effects associated with each venue, and to provide a “toolkit” of environmental mitigation measures to reduce or eliminate potential adverse environmental consequences of the proposed Sochi 2014 Winter Games. The SEA was based upon a review of documents, reports and information supplied by various design parties, such as FGUP Ros-NIPI-Urbanistiki, FGUP GhiproGor (Russian Urban Development and Investment Institute), OOO SK StroyProfi, OOO InzhZaschita, OOO Everina, OOO Architekturny Alyans, OOO RostovGhiproShakht, etc, including Ecocenter in-house data. In developing the SEA, professional experience and expert judgement of specialists in urban planning, design and construction, environmental protection and other related fields of knowledge were enlisted. · Russian and international environmental requirements. 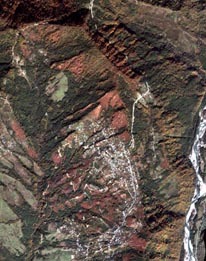 Mountain Climate Resort (52,000 ha). The Environmental Impact Assessment was based upon a review of findings of several field studies conducted on location, other documents and reports supplied by design organizations, such as FGUP Ros-NIPI-Urbanistiki, FGUP GhiproGor (Russian Urban Development and Investment Institute), OOO SK StroyProfi, OOO InzhZaschita, OOO Everina, OOO Architekturny Alyans, OOO RostovGhiproShakht, OAO RosStroyIzyskaniya, ZAO NIPI InzhGeo, GUP KubanGeologiya, etc. Use was made of findings of many years of continual monitoring and research of local flora and fauna conducted by highly experienced biologists and environmentalists representing Sochi National Park and a number of other Sochi-based research and development institutions. 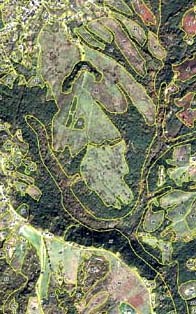 Field research and remote sensing (aeiral and satellite imagery) in individual characteristic zones in the area were performed between October 2006 and late January 2007. The scope included a survey of landscapes, soils, hydrogeological and geomorphological conditions. A specialized geophysical, seismological, field botanic and dendrological research was put through. 2007. Developing a System of Integrated Environmental Monitoring as a tool for surveillance of the entire environment in Sochi National Park and adjacent area both during the construction of Olympic sports and associated facilities and once they are up and running. The monitoring includes field research and satellite imaging. · Prepare, update and issue the required environmental reports. The monitoring program was made specific to each sports venue or tourist site. GIS techniques and tools were used in developing this monitoring system. Please, see more detailed list of executed works in the following sections: Project archive 2007-2008, Project archive 2009-2010.